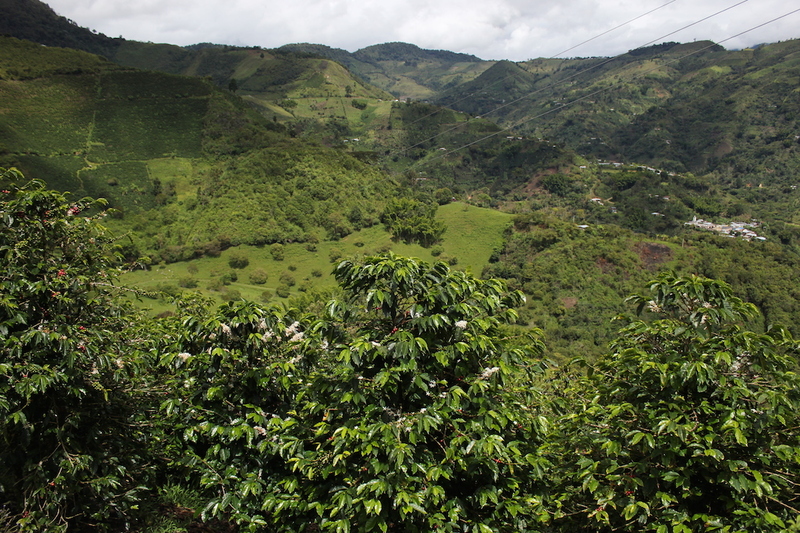 Coffee from Colombia's Huila region is well-known for great acidity and outstanding balance; Quills Coffee's Colombia Banexport roast is no exception. Highlights include a buttery, sweet body, and fruity, cane sugar notes. Cupping this coffee was particularly interesting; a candied, plummy aroma reminiscent of blueberry muffins created a pleasantly sweet, natural fragrance. The coffee is a Caturra varietal, a Bourbon mutation first harvested in Brazil in the 1930s. Caturra has become popular in Latin American agricultural regions due to its disease resistance, higher average yield (20-40% more cherries), and balanced flavor. The Caturra mutation is also known for its ability to create diversified crops, spawning other popular varietals such as El Salvador's Pacas and Costa Rica's Villa Sarchi mutations. Quills Coffee is a Louisville-based specialty coffee roaster focusing on great coffee, great service, and great spaces. Click here for more information on Quills Coffee. Thanks to our friends at Quills for sending these over for review!